Transparency • Release of the contract with a company that helped publicly financed agency defeat unionization effort follows a two-month open-records dispute. Leah Hogsten | Tribune file photo A majority of nearly four dozen TRAX supervisors for the Utah Transit Authority voted against joining the Teamsters union last month. UTA has disclosed spending $37,700 on consultants the Teamsters Local 222 describes as "union-busting" pros. The publicly financed Utah Transit Authority contracted to pay $3,000 a day each to some consultants, plus cover their travel expenses and, if UTA phoned them with questions, pay them another $375 an hour. Who charged such fees  lawyers, engineers, academics? It was a firm that helped UTA defeat efforts by the Teamsters Union to represent 44 TRAX supervisors. The Teamsters call the company, Labor Relations Institute (LRI), a "union-busting" consultant. Records show that UTA has paid LRI $46,701 through that contract, which also included just under $9,000 for a special website to help UTA organize, track and push its anti-unionization efforts. The TRAX supervisors voted 25-19 to reject unionization in September. That translates to UTA spending nearly $1,900 for each vote that eventually sided with the agency. "I wonder what disclosing these facts before the election would have done," said Britt Miller, business agent of Teamsters Local 222. Both the Teamsters and The Salt Lake Tribune had requested the information before the vote. UTA chose to release the contract information this week after a two-month tussle with The Tribune about whether the records are public. 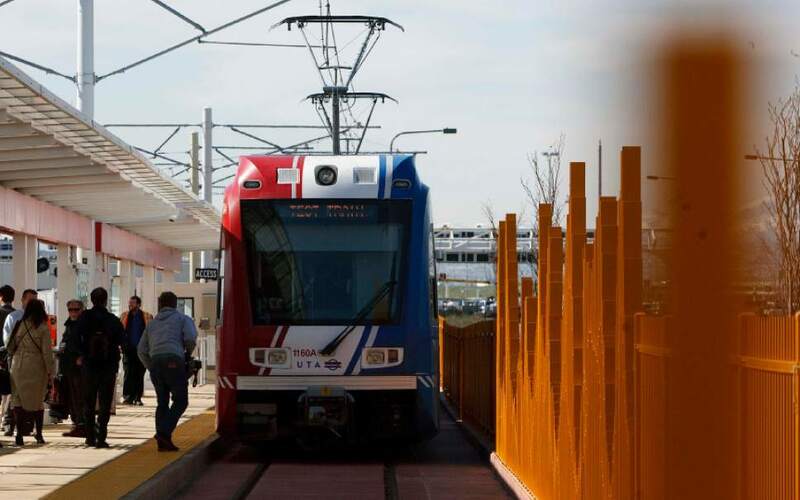 It comes as the UTA board says it is trying to improve transparency to build community trust. UTA denied the newspaper&apos;s open-records request last August, citing legal exemptions that allow withholding information that may reveal collective-bargaining strategy or impact pending litigation. The Tribune appealed to the State Records Committee, which had been scheduled to hear the case next week. The newspaper argued that a contract to help keep out a union had nothing to do with collective-bargaining strategy, defined in law as negotiating such things as wages and work conditions. The appeal went on to assert that such strategy could not exist if no union represented the workers and that no threat of pending litigation existed. UTA this week said in an email that a court issued a final order in a lawsuit that had ordered and tracked the election, so "UTA no longer has a need to protect" the information ­ and released it. The information it provided is a bit different than previous descriptions by the agency. UTA spokesman Remi Barron said last month, "Because union elections are infrequent and governed by strict rules, UTA hired LRI to help it navigate the election appropriately." The contract and attachments show LRI did more than help navigate rules. It designed and guided efforts to help win the election and paint the union in a bad light. "We will provide expert campaign consulting with an on-site facilitator to communicate your message directly to employees in employee meetings and one-on-one," a contract attachment says. It said a main objective of the firm&apos;s work was to win the election "by as wide a margin as possible or achieve a withdrawal of the petition" that called for it. The company also said it would help UTA retain a relationship with workers that would "preserve the operational flexibility needed to remain productive and profitable. The dead weight cost of unionization is estimated at 25 percent for most organizations" because of too-high pay or limited schedule flexibility. LRI also provided a website "that includes a customizable set of communication tools (slide presentations, video content, handouts, postings, etc.) plus other tools, checklists and data that will form a complete campaign toolkit." LRI&apos;s website describes some of its videos, including one from a woman it says is a former labor organizer who "warns the average employee is very unlikely to learn the truth about unions until it is too late. She explains how the union works in real life." LRI wrote UTA that its work would help the agency persuade workers "to put their trust in a direct relationship with you rather than the union." Miller said, "Spending nearly $50,000 on the effort to build trust is kind of pricey." The Tribune submitted questions this week to UTA asking why it felt the contract was a good expenditure, and what it sees as the benefits. Barron emailed a statement similar to his previous response: "Because labor campaigns are infrequent and the election was required by court order, UTA hired LRI to help educate its workforce fairly and in accordance with the law." He added, "UTA expresses gratitude to its employees for valuing a direct relationship and for voting against having the Teamsters represent them."